Papa John's is all ears. The embattled pizza company said Wednesday in a Facebook post that it has begun a nationwide listening tour to help it move past a controversy created by its former CEO and chairman, John Schnatter. He was forced to resign as chairman in July for admitting to using the N-word in a conference call with the pizza chain's former ad agency. "We've been meeting with our customers, the people we work with in local communities, our store owners and our Papa John's team members," the company's Facebook post said. "We want to do better." The listening tour marks the first move from the company's new ad agency Endeavor Global Marketing, which is backed by Hollywood icon and "Entourage" inspiration Ari Emanuel. It's the brainchild of Endeavor's new chief marketing officer, Bozoma Saint John, who joined the firm after leaving Uber in June. Bozoma was tapped by the ride-hailing company to reform its culture, and is expected to help rehabilitate Papa John's battered image. Related: How do you rebrand Papa John's when the problem is Papa John? 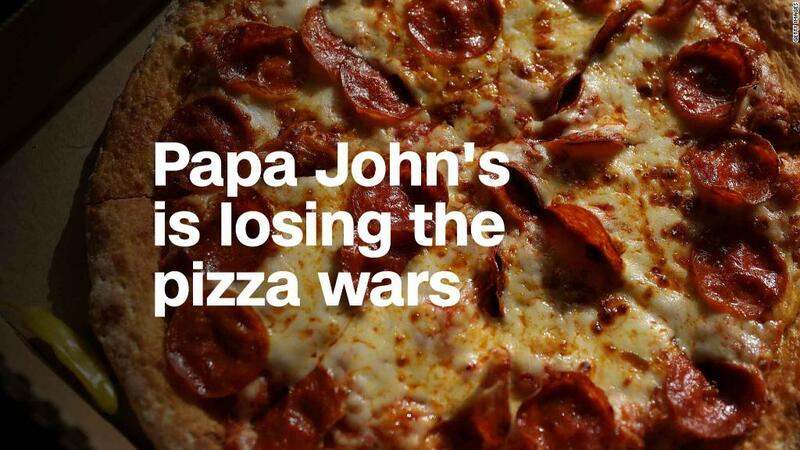 "This is a really pivotal moment not just for Papa John's, but for all corporate businesses and all brands that service a larger group of people," Saint John told Adweek. "Our culture has become even more sensitive to anything we feel is outside of our moral compass, and as a brand we acknowledge that." She added that Papa John's will roll out a new ad campaign in the fall without Schnatter's face. The chain's 5,000 stores have reportedly been given instructions on how to scrub Schnatter from its stores. For example, the chain is replacing the wooden paddles that take out they pizza because they have Schnatter's signature on them. Pictures on the walls featuring Schnatter and NFL player and friend Peyton Manning will also have to be taken down. Meanwhile, Schnatter continues to fight his ouster. He told the AP in a new interview that he wants to be reinstated as the face of the chain. "My persona resonates with the consumer because it's authentic, it's genuine and it's the truth," Schnatter said. His lawyer confirmed Schnatter's comments to CNN. Last week, Schnatter filed a lawsuit in Delaware seeking to inspect company documents related to his firing. Papa John's called the lawsuit "needless and wasteful." The board of directors recently approved a so-called poison pill provision, an extraordinary step aimed at preventing the former CEO from gaining more control of the company. Schnatter owns 29% of Papa John's stock. Papa John's reports its second quarters earnings on August 7. The stock is down 26% since the beginning of the year.